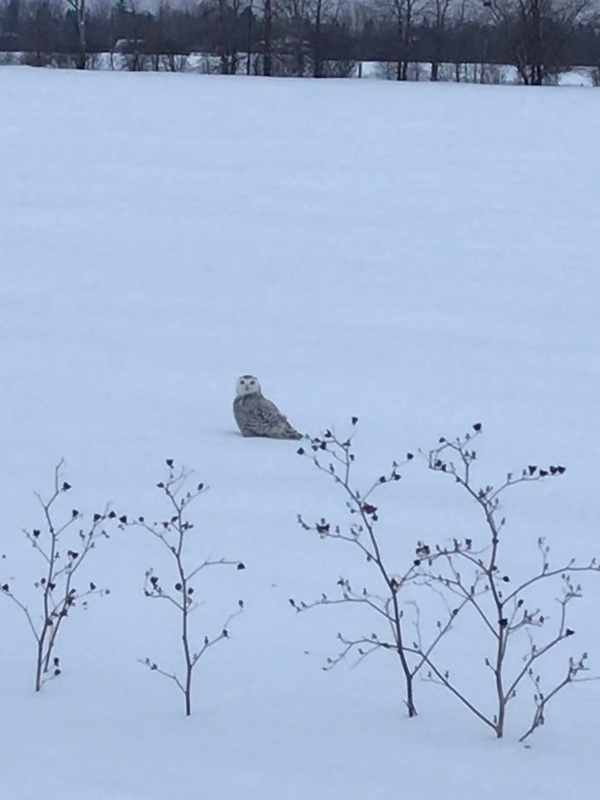 From Hedwig, the Snowy Owl of Harry Potter fame, to Winnie-the-Pooh’s beloved friend Owl, this wide-eyed bird of the night has found its way into young hearts and imaginations everywhere. 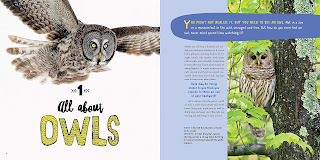 Owling invites young readers into the world of real-life owls, to learn about their fascinating behaviors and abilities. Wildlife photojournalist and nature educator Mark Wilson presents a one-of-a-kind look into the mysterious lives of these distinctive birds. 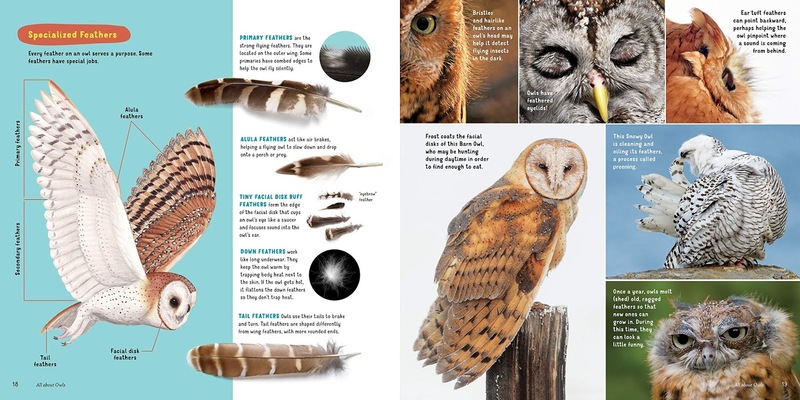 Dramatic images of the 19 owl species of North America nesting, flying, hunting, and catching prey are accompanied by information about the birds’ silent flight, remarkable eyes and ears, haunting calls, and fascinating night life. Kids will learn how to spot owls; identify their calls, plumage, and pellets; and even carry on a hooting conversation with a nearby owl. My daughter has fallen in love with owls ever since she read the book series titled Guardians of Ga’Hoole. To be honest I have lost count how many times she has read this series in the past two years. Every time she sees something that is owl related she is delighted. 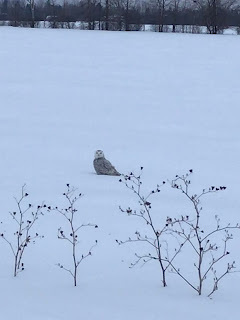 More recently, we had the privilege to see a snowy owl in a field near our home as we were going to church. My daughter was all excited to have seen one in the wild. She isn’t the only one who enjoy seeing owls. I love anything related to bird watching. 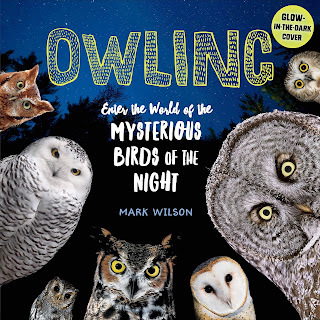 Needless to say that having the opportunity to review Owling is extra special in this household because I know that my daughter will particularly like this book. 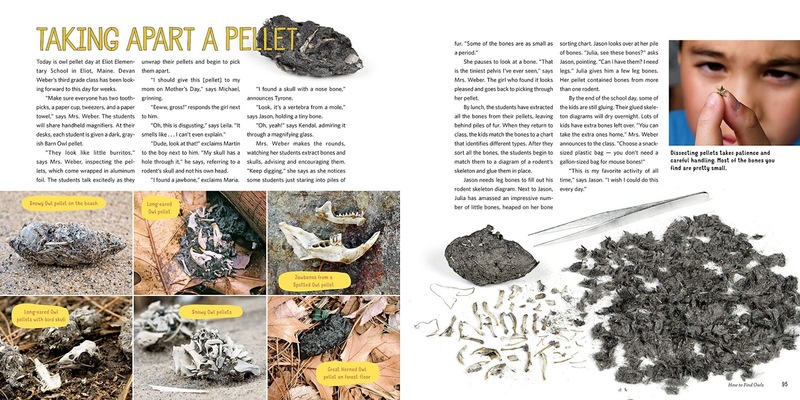 The book is packed with information concerning owls. The table of contents is very precise in what it covers. Chapter 1: All About Owls – This chapter will present you information about owl like the parts of an owl head, it’s body parts, the fact that owls can turn their head in circle, their eyes, night vision, hearing, their predatory skills, their flight, their feathers, their feet, their beak, and so on. 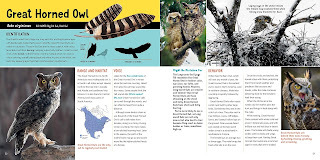 Chapter 2: Introducing the Owls – This chapter starts with the scientific names for owls and then jump directly in presenting all the different owls we can see in the wild, More specifically, you will learn about Owls of North America, Barn Owl, Flammulated Owl, Western Screech-Owl, Eastern Screech-Owl, Whickered Screech-Owl, Great Horned Owl, Snowy Owl, Northern Hawk Owl, Northern Pygmy-Owl, Ferruginous Pygmy-Owl, Elf Owl, Burrowing Owl, Spotted Owl, Barred Owl, Great Gray Owl, Long-eared Owl, Short-Eared Owl, Boreal Owl, and Northern Saw-whet Owl. For each of these owls, you will learn their scientific name, their old names, how to identify them, their range and habitat, their voice, their nesting behavior, their hunting habits and their menu. Chapter 3: How to Find Owls – This chapter will allow you to discover when and how to find owls in the wild. You will also learn about owl pellets and how to build an owl house. Chapter 4: Working with Owls – This chapter will present you all the different jobs that allow someone to work close to owls whether you are a wildlife specialist or an artist. 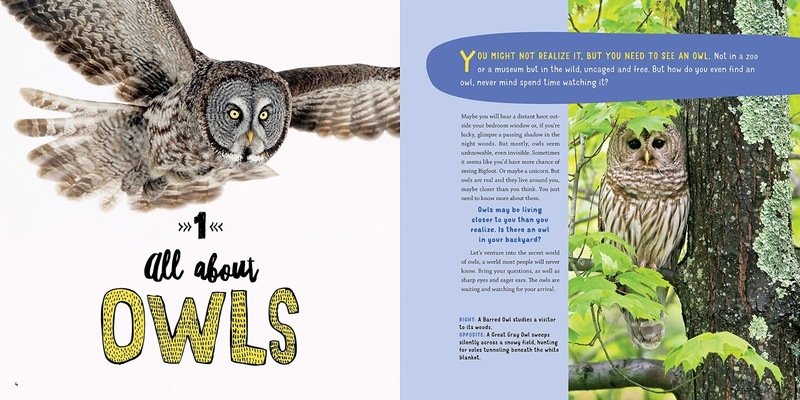 The book also includes a glossary, a list of places to see owls in captivity. an index as well as a metric conversion chart. Just to give you an idea of what the pages look like in the book check the pages below. 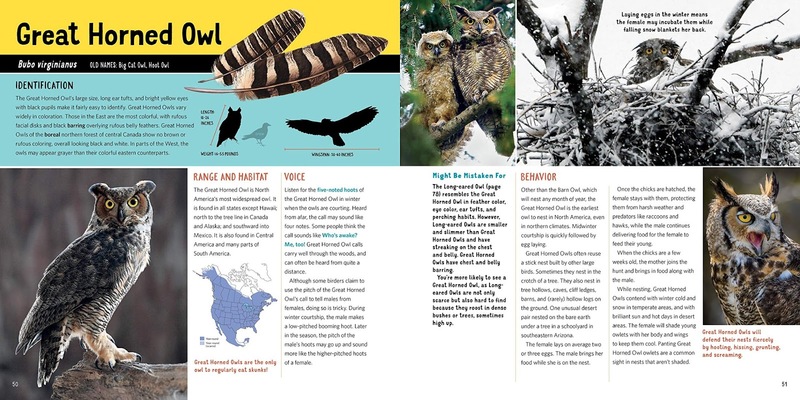 As you can see this book contains numerous pictures, a ton of information as well as fascinating facts about owls. It would make a wonderful gift to someone who enjoy birds in general or is a fan of owls of all sorts. This book is also great for someone who desire to make a school project on owls.,,It is a fabulous reference when studying birds. Owling is available for purchase at your favorite bookstore, even on amazon.ca and amazon.com. Disclaimer: Thanks to Thomas Allen for sending me the above mentioned book for review purposes. I was not monetarily compensated for this review. Please note that the review was not influenced by the Sponsor in any way. All opinions expressed here are only my own. In this deeply personal account of her first year as a missionary, Elisabeth Elliot shares the challenges she faced as she worked in the jungles of Ecuador to bring the Word of God to a people virtually untouched by the outside world. With fascinating detail, she captures the stark realities of life in the jungle, the difficulties she encountered while developing a written language for the tribe, and her confusion when God didn't "cooperate" with her efforts to accomplish what she believed was His will. More than just a memoir, Made for the Journey is a beautifully crafted and deeply personal reflection on the important questions of life and a remarkable testimony to authentic Christian obedience to an unfathomable God. Elisabeth Elliot has become an inspirational Christian woman through her writings. But before she became an inspiration to many she was herself a missionary who spent many years in Ecuador. 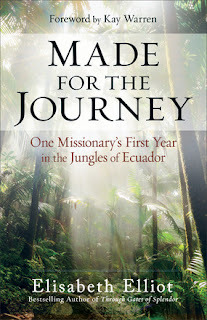 This book is about her first year as a missionary in the jungles of Ecuador. This book is literally an adventure in itself. You will embark on a journey following the footsteps of Elisabeth Elliot (then Howard) as she arrives and travels through the jungles to her destination in order to help in the Colorado tribe. While reading this book you will be in awe of her courage, fear at times during their journey, experience joy and sadness and much more. This book is packed with emotions as you read her journey and experience in the jungles of Ecuador. One specific chapter highlights all the work that had to be done when it comes to drinking water or milk as well as food preparation. It is amazing to realize that in North America we sometime wait at the last minute to prepare our food while back then as a missionary (and I am sure still today in some countries) you would have to plan in advance and manage to live without a refrigerator or a freezer. This particular chapter was an eye opener of the kind of environment some missionary might live in to this day in certain parts of the world. Elisabeth Elliot’s book is written in such a way that you will be immerse in the atmosphere describe in each chapter. It is almost as if you are witnessing the scene as she unfold it under your eyes. I enjoy that time of writings when it comes to biographies. I find that it makes it more personal, more realistic for the reader. I have heard of the tragic end of her first husband Jim Elliot but I had never read anything from Elisabeth Elliot until now. I have enjoyed reading Made for the Journey and will definitively look read more books from Elisabeth Elliot in the future. Whether you are thinking of going on a mission trip or you simply enjoy learning more from inspirational Christians of the past, this book is a delight to discover. This book will help you to better visualize the life of a missionary in regions where not a lot of our regular North American amenities exists. It will give you a better understanding and perspective of their lives as they work to reach out and teach the gospel to people groups that have not been touched by it yet. Made for the Journey is available for purchase at your favorite bookstore, even on amazon.ca and amazon.com. Disclaimer: The copy of this book has been provided courtesy of Baker Publishing Group and Graf-Martin Communications, Inc. for review purposes. I was not monetarily compensated for this review. Please note that the review was not influenced by the Sponsor in any way. All opinions expressed here are only my own. For the past few years I have been illustrating scripture verses in my journaling Bible. Funny though that I enjoy drawing and painting these days because I sure disliked it when I was in high school during my art class. Anyhow, through the years I have become a bit better in sketching, drawing and painting. Back in December, we thought we could use some of these paintings I have made and offer them as black cards for people to use. And so my Etsy store – Isa’s Art Boutique was open a week or so before Christmas. Isa’s Art Boutique can be found on Etsy - https://www.etsy.com/ca/shop/IsaArtBoutique. At this point I have five different paintings that we are offering as greeting cards. This beautiful bird is offered as a single or in a pack of five greeting cards. This design is offered as a single or a a pack of five greeting cards. The poppies are offered as a single or a a pack of five greeting cards. The barn owl design is offered as a single or a a pack of five greeting cards. The hummingbird is offered as a single or a a pack of five greeting cards. Finally, we are also offering a pack with all the different kinds of greeting cards. This multipack is offered in five or tens (2 of each design) greeting cards. The painting were originally sketched, inked with Pitt Pens and painted with Derwent Inktense products on Canson XL Series Watercolor Textured Paper. Size of the cards are 5x7 inches. As you can see on the image above, they are either on portrait or landscape format depending of the format of the original painting. Prices of the greeting cards varies depending of what you desire to purchase. Swing by my Etsy store Isa’s Art Boutique to see the prices. If you desire more updates on Isa’s Art Boutique, please join my mailing list - http://eepurl.com/gbyFN5.